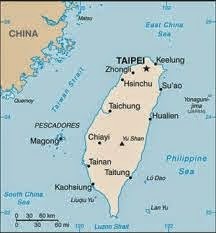 Taiwan , officially the Republic of China , is a state in East Asia. Originally based in mainland China, the Republic of China now governs the island of Taiwan, which makes up over 99% of its territory, as well as Penghu, Kinmen, Matsu, and other minor islands. Neighboring states include the People's Republic of China to the west, Japan to the east and northeast, and the Philippines to the south. Taipei is the seat of the central government. 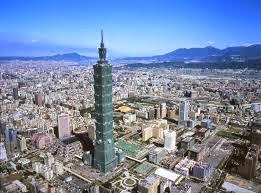 New Taipei, encompassing the metropolitan area surrounding Taipei proper, is the most populous city. 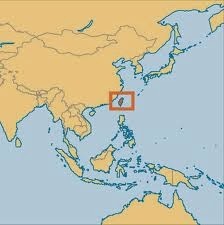 The island of Taiwan (formerly known as "Formosa") was mainly inhabited by Taiwanese aborigines until the Dutch and Spanish settlement during the Age of Discovery in the 17th century, when Han Chinese people began immigrating to the island. In 1662, the pro-Ming loyalist Koxinga expelled the Dutch and established the first Han Chinese polity to rule on the island, the Kingdom of Tungning. The Qing Dynasty of China later conquered Taiwan in 1683. By the time Taiwan was ceded to Japan in 1895, the majority of Taiwan's inhabitants were Han Chinese either by ancestry or by assimilation. The Republic of China (ROC) was established in China in 1912. At the end of World War II in 1945, Japan surrendered Taiwan to ROC military forces on behalf of the Allies. Following the Chinese civil war, the Communist Party of China took full control of mainland China and founded the People's Republic of China (PRC) in 1949. The ROC relocated its government to Taiwan, and its jurisdiction became limited to Taiwan and its surrounding islands. In 1971, the PRC assumed China's seat at the United Nations, which the ROC originally occupied. International recognitionof the ROC has gradually eroded as most countries switched recognition to the PRC. Only 21 UN member states and the Holy Seecurrently maintain formal diplomatic relations with the ROC, though it has informal ties with most other states via its representative offices. Constitutionally, the ROC government has claimed sovereignty over all of "China", in a definition that includes mainland China andOuter Mongolia, but has not made retaking mainland China a political goal since 1992. However, the government's stance on defining its political position largely depends on which political coalition is in charge. Meanwhile, the PRC also asserts itself to be the sole legal representation of China and claims Taiwan as its 23rd province to be under its sovereignty, denying the status and existence of ROC as a sovereign state. The PRC has threatened the use of military force as a response to any formal declaration ofTaiwanese independence, or if it deems peaceful reunification no longer possible. Cross-strait relations as well as issues of national identity within the country are important factors in Taiwanese politics and a cause of social and political division among political parties and their respective supporters. During the latter half of the 20th century, Taiwan experienced rapid economic growth and industrialization and is now an advanced industrial economy. In the 1980s and early 1990s, Taiwan evolved into a multi-party democracy with universal suffrage. Taiwan is one of the Four Asian Tigers and a member of the WTO and APEC. The 19th-largest economy in the world, its high-tech industry plays a key role in the global economy. Taiwan is ranked highly in terms of freedom of the press, health care, public education, economic freedom, and human development. List of Countries of Asia.